Teflon® coated Dura-Slick™ paint keeps surface free of snow. While the truck industry has continuously moved towards lighter (and more fuel efficient) pickups, plowing capabilities have as a result been in steady decline. 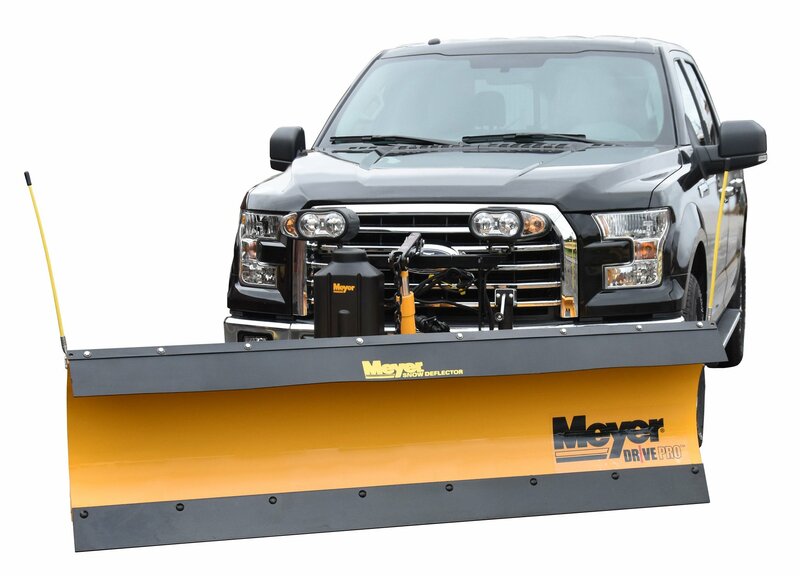 Meyer took note of this trend and has come to market with the durable and light Drive Pro Snow Plow. 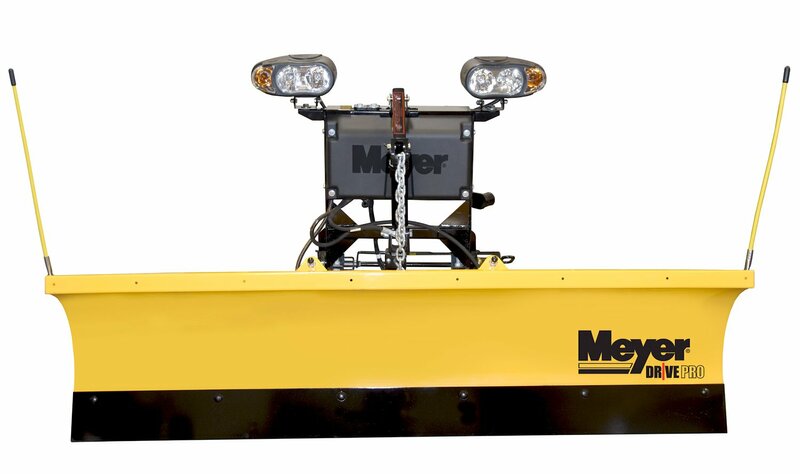 Weighing up to 20% less than standard snow plows, this snow pusher can deliver professional results even on lighter trucks all while greatly reducing the risk of bottoming out. Light as it may be, the laser-cut steel construction of this blade features continuously-welded ribs for the ultimate in durability. 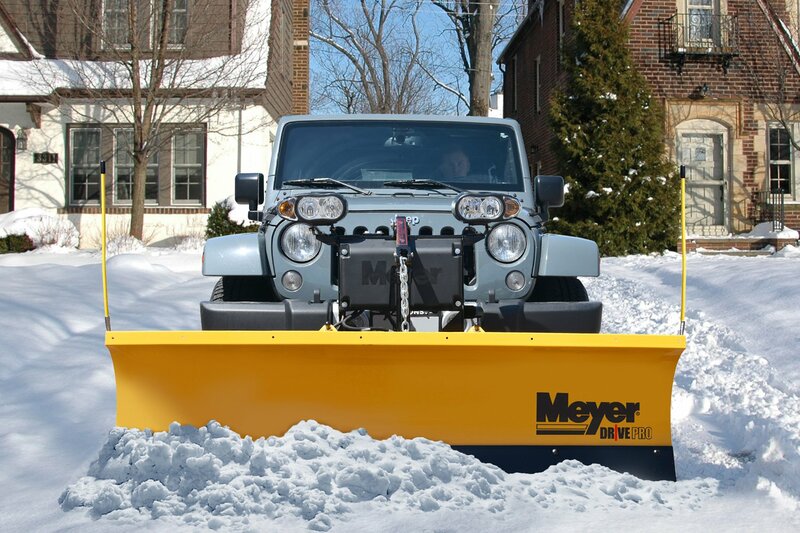 This blade will also slice through snow like melted butter thanks to Meyer’s Dura-Slick paint with a Tephlon® coating. 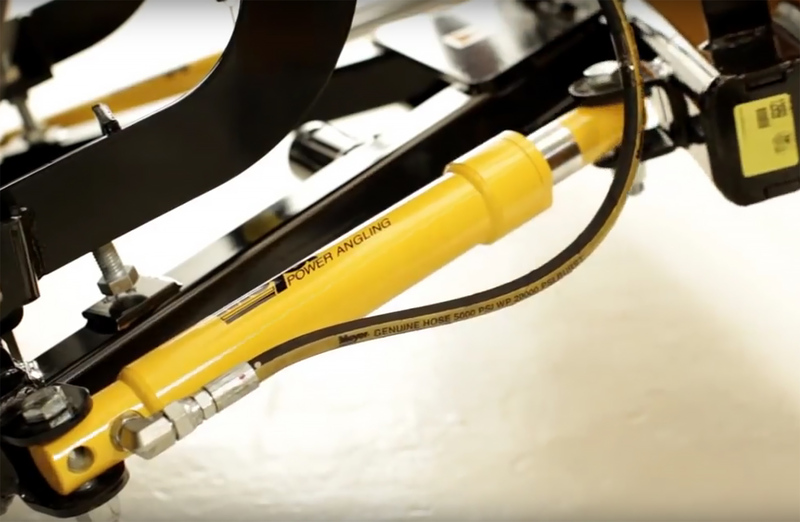 The trip springs are fully adjustable, meaning you’ll save time and money by avoiding expensive maintenance shops while you fine-tune your plow in your very own garage. Pre-drilled holes make it as simple as possible to add-on additional accessories like a custom fitting deflector. Two available operating systems offer various features and benefits. The Standard Operating System is designed to plug directly into a trailer adapter for one of the easiest installations in the industry. Unrivaled ground clearance and an adjustable drop speed make this system perfect for light trucks as well as full-sized pickups, The EZ-Mount Operating System boasts a variety of premium attributes such as self-diagnostic tests, and a completely hands free plowing experience. What's the difference between the two operating systems? The Standard Operating System is the industry leader in ground clearance. It also features an innovative fully adjustable drop speed. This system plugs directly into a trailer adapter making installation as simple as possible. This system includes a remote control and is perfect for lighter trucks. The EZ-Mount Operating System includes a collection of premium features such as comprehensive self-diagnostic tests and a completely hands-free plowing experience. This system does not include a remote control but several options are available to add on. 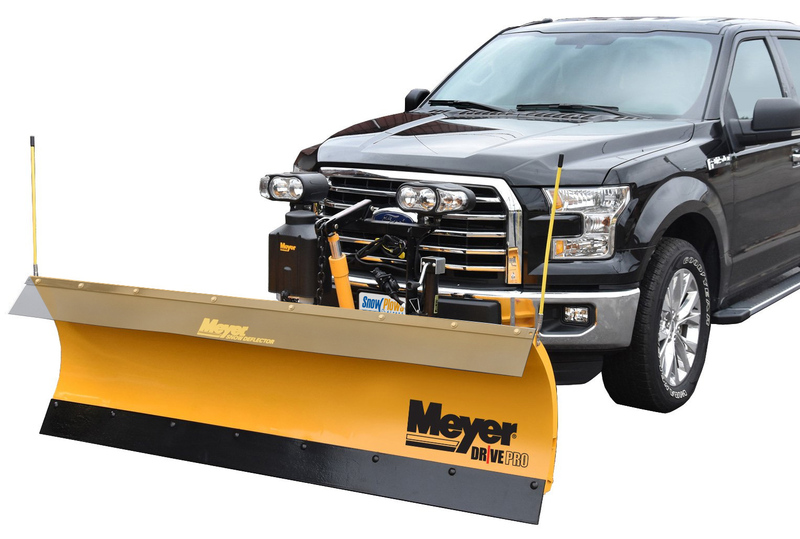 The Drive Pro Snow Plow by Meyer carries a 5-Year Warranty. Carl L from Scottsdale, AZ, who drives a Jeep Wrangler. I'm very happy with this snow plow. It came quick, love the shipping form SPD, and now I'm the king of the cul de sac. George C from Tulsa, OK, who drives a Dodge Ram 1500. Very pleased with the Meyer Drive Pro. This plow was a bit hard to put on but at least there are professional results on a Ram 1500. Zack S C from Irving, TN, who drives a Ford F-150. I'm very happy with this plow and how it performs even after heavy snow fall. This is a great product and I only wish I had ordered it sooner.